We are off to find chemical evidence of alien life on Mars. Europe’s ExoMars orbiter launched today. It blasted off from the Baikonur Cosmodrome in Kazakhstan. Its mission is focused on searching Mars for signs of life and, to this end, studying the methane that’s present in the Red Planet. This is the first phase of a 1.2 billion Euro project between the European Space Agency and Russia that is aimed at finding the biochemical fingerprints of life on Mars. The running theory is that, while the surface of Mars shows a harsh environment where living things couldn’t possibly thrive, it might be possible that life can thrive below its surface. The existence of methane could be the key to this theory—and that’s what the ExoMars orbiter is set to find out. Once it arrives in Mars (it’s expected to land by October of this year), it will hopefully find where the traces of methane are coming from and map out an ideal landing site for a rover that’s being targeted for a 2018 launch. 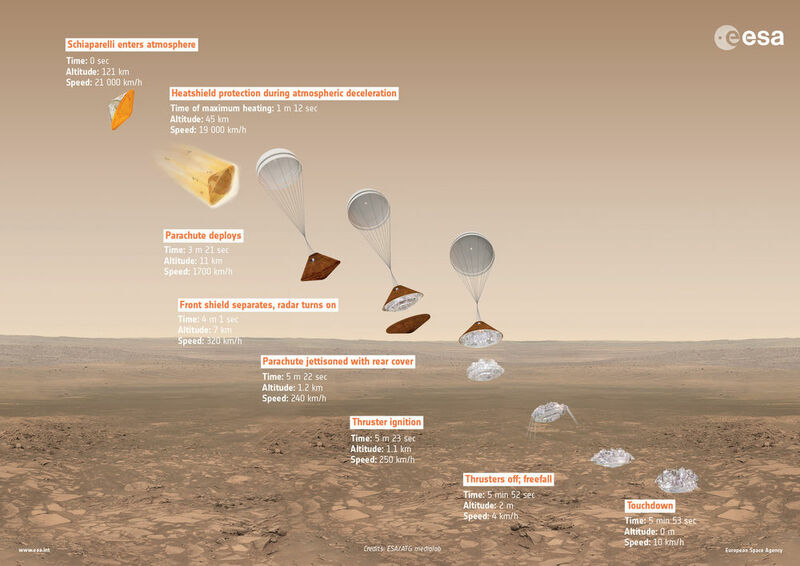 The ExoMars is also going to release a lander called Schiaparelli, which is designed to study the Red Planet’s dust storms and test the new landing system, which will help to pave the way for a more functional Mars rover exploring the planet by 2021. Notably, this rover will be equipped with a drill and a laboratory for testing. Ultimately, the team asserts that there are two possible sources of the Martian methane: It may be geological (such as volcanic activity) or could be proof of life on the Red Planet. Hopefully, this project will determine which it is.